Hey friends! I’m here to share with you today a different kind of DIY – the kind that takes a little shopping in your house for a change! Do you ever shop your house? I do it all the time. Whenever a room needs a little refresh, I start looking around my house to see what I can move around to create a “new” look. This time, the look is pink! We’re about to celebrate Valentine’s Day, and this month we see the color pink more than any other time of the year! It can come off a little cheesy and childish, but I’m here to show you how to make the look chic and fun! 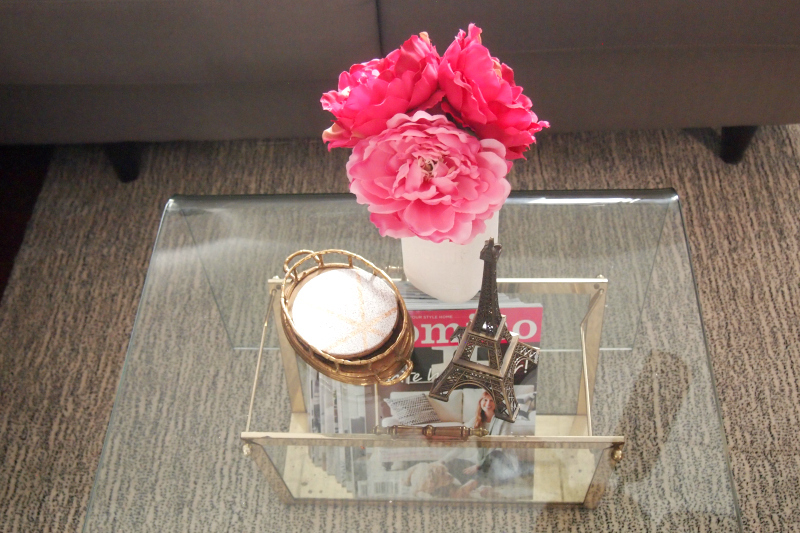 You’ll notice that the vase the peonies are in is the product of a past Decoist DIY project – the painted mason jars! 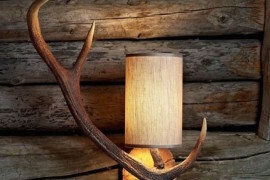 These are great because they’re a neutral colour and the shape is simple. When you have such a bright pop of color, keeping the things around it calm is sometimes a good way to make it stand out even more! 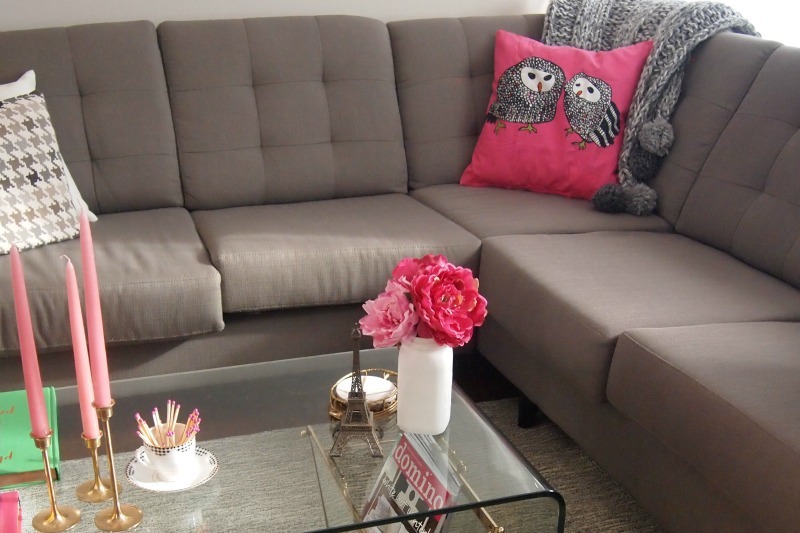 Pillows are a great way to change things up and bring in hot pink, especially when it’s on such a large and neutral sofa! This pillow, an IKEA find, is great because it brings in the color without being cheesy or too lovey-dovey. No hearts, no fluff – just a cute pillow with our color of choice. 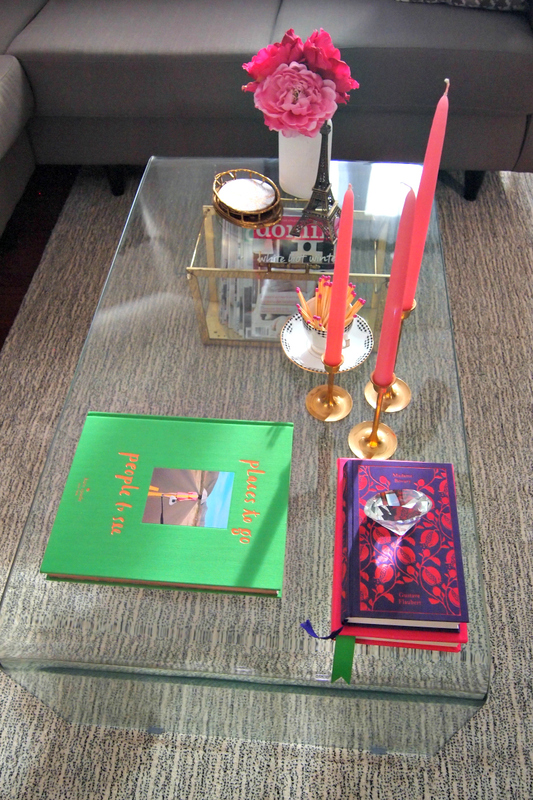 Sometimes decorating with a particular color successfully is all in the details. Think of the small (I mean really small) accessories. 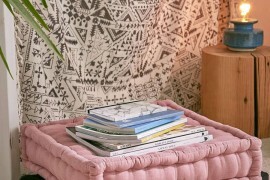 The choice to display a magazine with pink on the cover? Not accidental. It just brings the whole thing together. How about the matches? 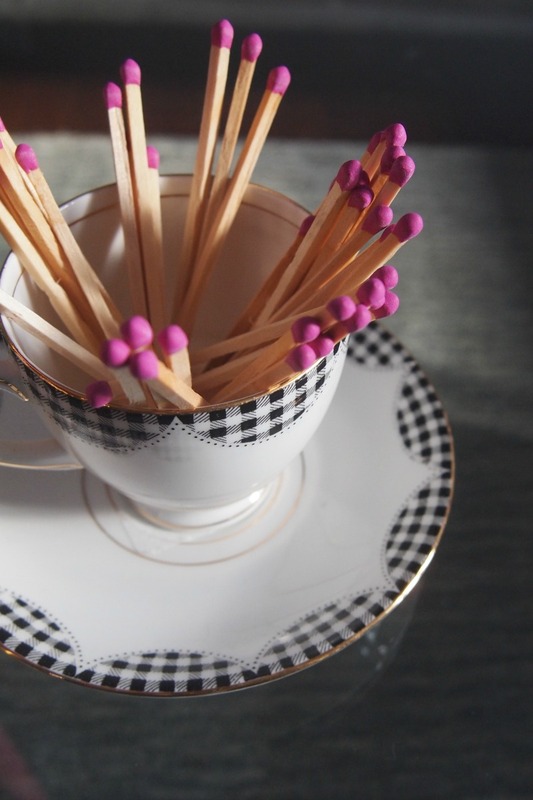 I purposely bought matches with a pink tip, then cut them down to size and placed them in a teacup. 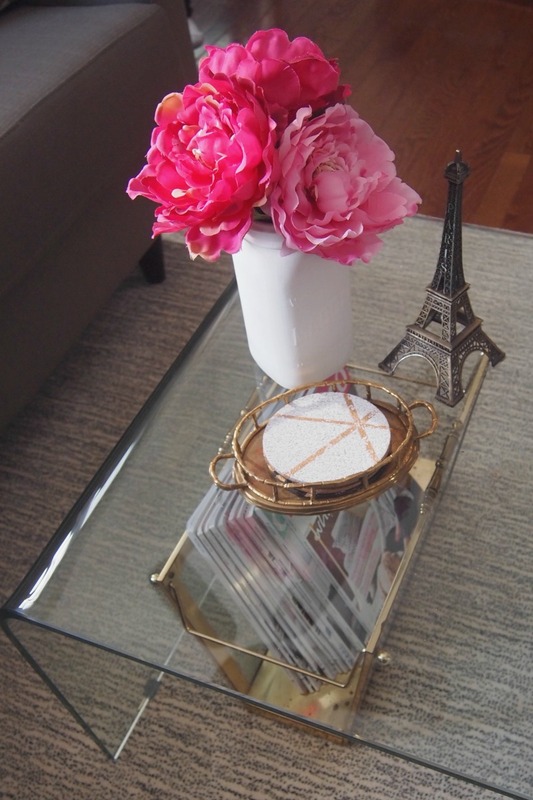 This is a super quick DIY that you can try to bring in a hint of color. The teacup and saucer are vintage and neutral, so the matches stand alone in an unexpected place. How do you light them? Tape a piece of fine grit sandpaper to the bottom of the saucer! 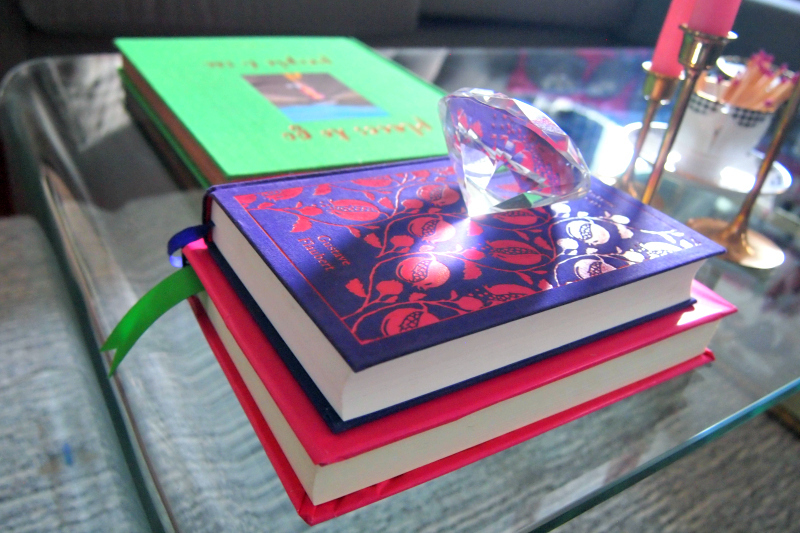 Books are another great way to bring in color, but you don’t always happen to have books in the right color. Solution? Cover one up with some wrapping paper, and voila! What? Other colors? Yep! If you bring in a couple of other strong colors, the pink will still stand out, but you won’t have a living room that is just filled with pink! In this case, I used purple and green as accents. Not colors you’d expect for Valentine’s Day, right? 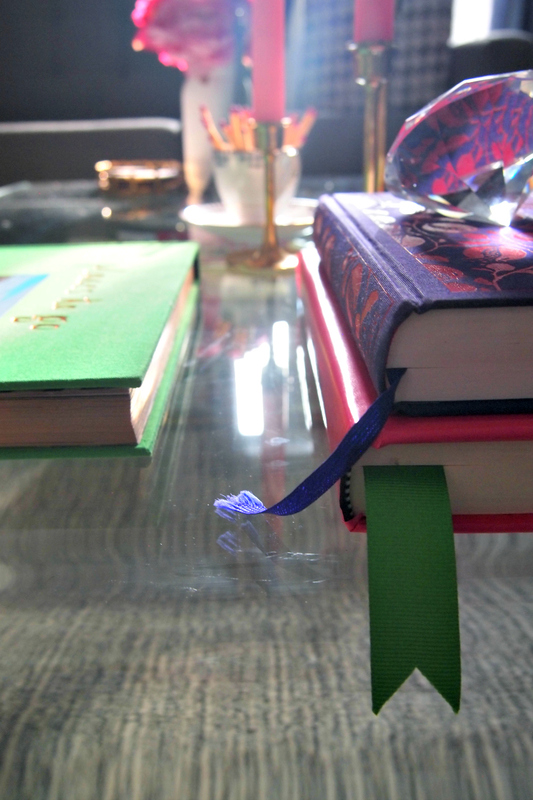 I even went as far as to cut a piece of ribbon in green to use as a bookmark. 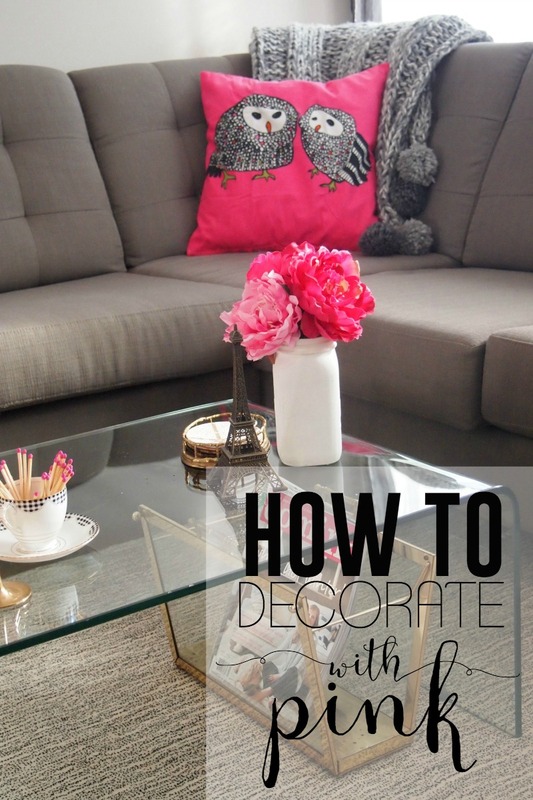 You need something to ground the frilly pink, and a large piece of furniture like a couch, or even a large rug will do that. But what about all of the other accessories? 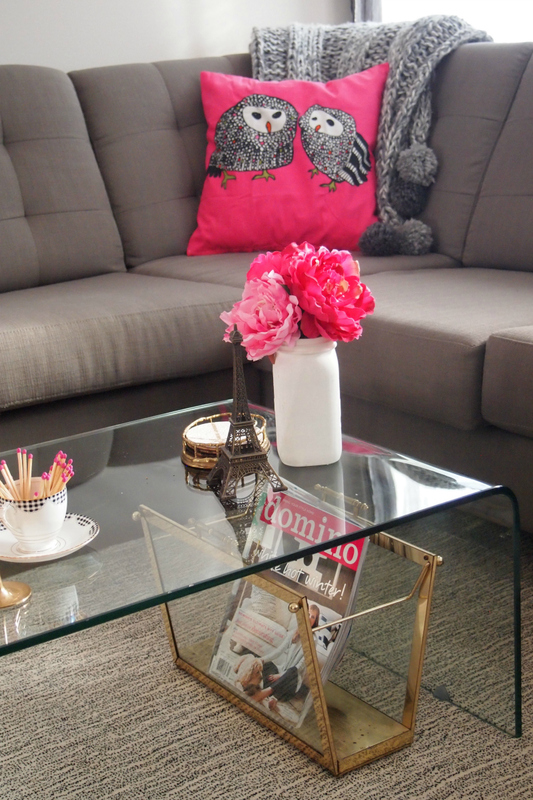 Choose things with similar tones to keep the look very chic. 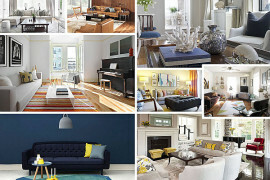 I chose gold, black and white as my neutrals, because they are such classics! You may have noticed the DIY painted coasters here as well. 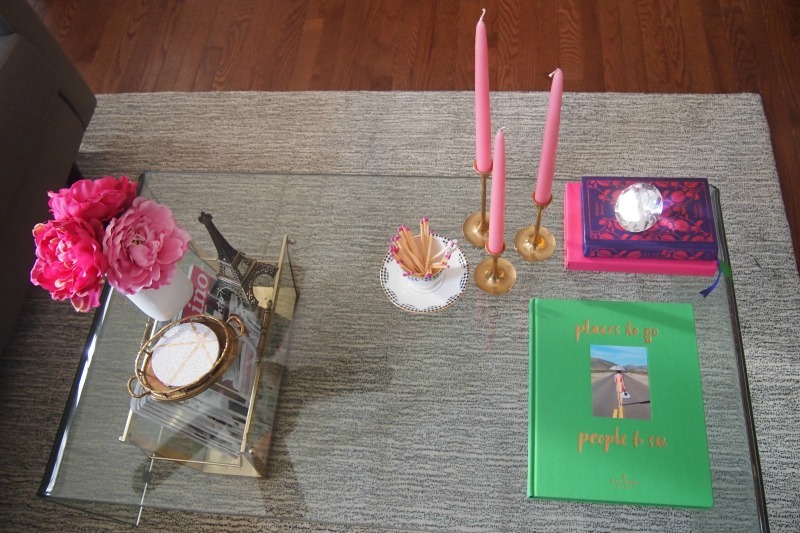 I placed them in a vintage brass tray and used other vintage items (candlesticks and magazine holder) as well as a travel souvenir for a personal touch. And there you have it. 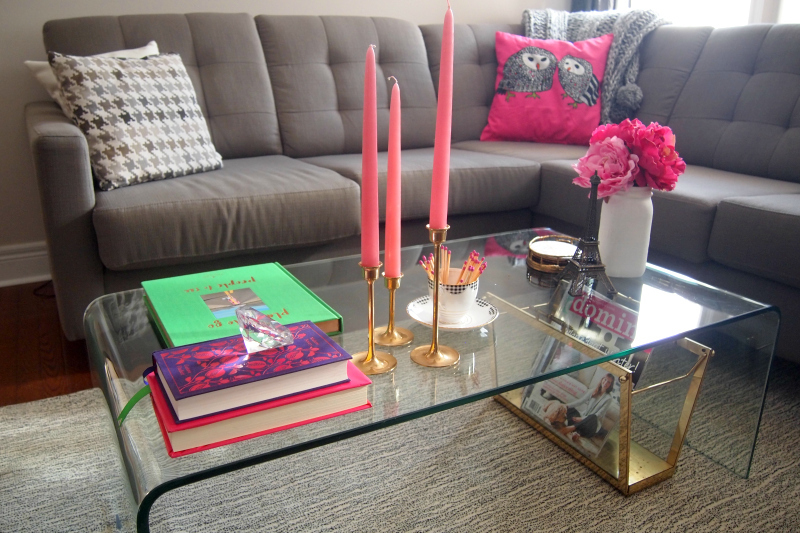 Five tips to help you decorate with pink! So now that you have all of the tools you need, will you try it?